‘Lord Snow’ Gets Ready for a Long Winter — Making Game of Thrones " "
For many of the characters in ‘Game of Thrones,’ Episode 3 meant getting used to intimidating new places – kind of like college orientation but with more battling in courtyards and making out with your sister. Do you think that snow season will be as bad as the Starks are expecting? 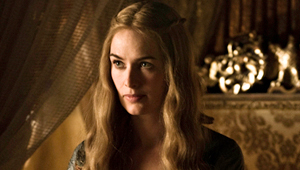 Is Cersei raising a princely psychopath or the ‘Game of Thrones’ version of a star athlete? 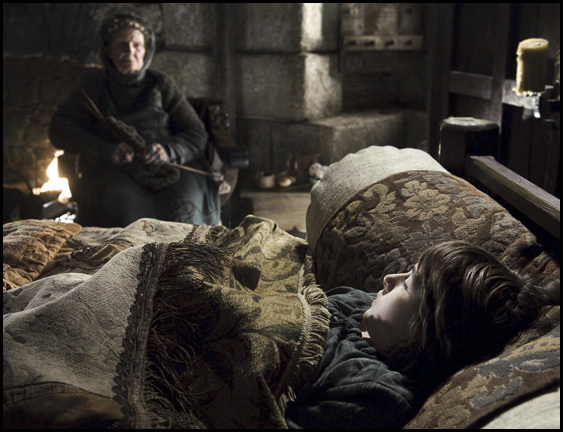 And yeah – how about that scene with Ned discovering Needle? A NOTE ON SPOILERS: In the comments, please avoid mentioning or alluding to any events from the ‘A Song of Ice and Fire’ books that haven’t occurred on the television series. All the fans experiencing this story for the first time will appreciate it!